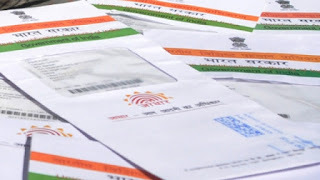 Despite the fact that the question of the Constitutional validity of the Aadhaar Act, 2016 itself, is pending before a Constitutional Bench of the Hon'ble Supreme Court of India in the matter of Justice K.S.Puttaswamy(Retd) & Anr vs the Union Of India and Ors, and the latest the Order of the Supreme Court in Binoy Vishwam vs Union of India declaring that people without Aadhaar cannot be made to get Aadhaar and link it with PAN till the validity of Aadhaar itself is decided, the Central Government has brazenly gone ahead declared Aadhaar mandatory not only for for Financial Transactions over Rs. 50,000/- , but now also mandatory for prevailing benefits under the RNTCP Scheme. Revised National TB Control Program (RNTCP) (sometimes known as RNTCP 1) was started in 1997. The RNTCP was then expanded across India until the entire nation was covered by the RNTCP in March 2006. At that time the RNTCP also became known as RNTCP II. RNTCP II was designed to consolidate the gains achieved in RNTCP I, and to initiate services to address TB/HIV, MDR-TB and to extend RNTCP to the private sector. RNTCP uses the World Health Organisation (WHO) recommended Directly Observed Treatment Short Course (DOTS) strategy and reaches over a billion people in 632 districts/reporting units. As per the National Strategic Plan 2012–17, the program has a vision of achieving a "TB-free India", and aims to achieve Universal Access to TB control services.The program provides, various free of cost, quality tuberculosis diagnosis, and treatment services across the country through the government health system. The Gazette notification makes Aadhaar compulsory for benefits including compulsory cash assistance, free medical aid etc. It is important to note here that the well endowed can practically afford TB medicines, but those who are genuinely poor and suffering cannot afford the medicines and absolutely need the benefit of the scheme. As such the scheme cannot be made conditional to registration under an Act (Aadhaar) whose very locus is under challenge. Apart from this, on the basis of flawed understanding of the Lokniti Foundation judgment, the Government has already started forcing people to link their Aadhaar with their mobile numbers. First, they try to get people to link Aadhaar to PAN via a Money Bill and are stopped by the Supreme Court and now they go full steam ahead despite the matter being sub judice. The only explanation to this can be that the Government intends to put us in a scenario where Aadhaar has already been made 100% enforced, thus making any possible negative judgment against Aadhaar in the case of KS Puttaswamy redundant.